When you really get down to it, the NES controller is the granddaddy of all modern game controllers. Granted, they didn't have thumbsticks, triggers, or tilt controls back in the 80's, but it doesn't take a terribly observant eye to note the design principles that are still evident in today's controllers. This is probably due in no small part to how the design is simple, yet effective. Of course, in typical Nintendo fashion, this design was actually based on an older idea. There were, as you can probably imagine, a lot of difficulties we faced in doing things for the first time in building this hardware, but one of the most difficult was, 'What shape and layout will the controller have?' This has a touch of coincidence about it, too, but some of those people who had gone to work with Gunpei Yokoi's team eventually found their way back to our team. So one of the ideas that came up because of that was, 'Well, we've got this Game & Watch multi-screen Donkey Kong that uses the controller format of a plus control pad and buttons.' So we hooked that up and got it working. What do you think modern game controllers would look like if Nintendo had opted for a different design? What's your favorite video game controller? Drop us a comment in the section below. But how did they design THAT one? @TobiasAmaranth We must go deeper! If they went with something else, I'd enjoy it more...not gonna lie, this thing gave me blisters, lol. And Donkey Kong was one of many G&W games to use a clamshell design and have dual screens. It's neat to see how much of an influence the Game&Watch games had on other systems' designs. Fun fact: Miyamoto originally wanted the controller to kick puppies. NOW YOU'RE PLAYING WITH A D-PAD!!! So what hardware had the first actual D-pad? @chardir I believe that was the game and watch. Hooked my NES up to replay SMB3 prior to Mario Maker launching and must say, those controllers are ridiculously uncomfortable! 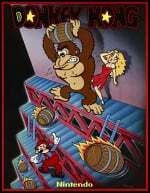 I had the Donkey Kong G&W. The obligatory story: a Japanese kid in my 6th grade class brought one in that he got in Japan. Everyone was all over it and many of us wished we had one. Well, as it turned out it had just come out in the US, and I was able to successfully beg one out of my parents. I brought it to school the next day after getting it, and when I took it out to play everyone thought it was the other kid's. Someone wanted to take a turn on it, and when selfish me said no, he complained to the other kid that I wouldn't let him play. Trust me the original Nintendo AVS (Advance Video System or Advance Videogame System) that was going to be our Famicom equivalent here in NA wasn't originally going to have a d-pad but a freaking square pad instead. 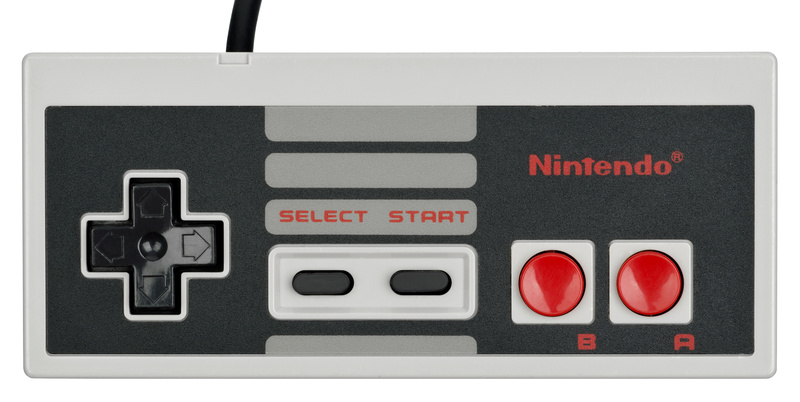 Thank goodness nobody likes the idea of the AVS so now we got the d-pad and buttons instead with our NES. @retro_player_22 What they hell is that thing in the bottom right corner? Whatever, moving on. My family had a home computer thing with a similar load out to AVS. I also recall we had a Colecovision (with slick wood paneling), with a big dumb dial and an honest to god phone pad. I remember the films you slid over numbers in an attempt to show what the buttons did for each game. It was strange time. I think that was an Intellivision. The Gamecube controller's probably my favorite overall, but I also really love the Wii remote too. It was such a revolutionary and ingenious idea! I can't imagine playing certain games without it! @Rect_Pola Beats me, Nintendo had some weird idea when they launch that thing. Good that nobody buys into that so we later got the NES instead. I don't even know what game would support that keyboard, I assume it's probably just so to make entering passwords easier perhaps. My first video game console was an Atari 2600. Switching to a d-pad was strange but I quickly got the hang of it, and after getting a secondhand NES Advantage, I mastered d-pad and joystick for many different games. I sadly lost that skill. Give me a fighting game arcade stick and tell me to play the original Super Mario Bros, I'm going to fail at precision jumping.